Baldwin Digital is a full service digital marketing agency based in Midleton, Co. Cork, Ireland. Experts in technical and creative marketing, Our mission is to help businesses both small and large grow. We offer a comprehensive suite of digital marketing services for any business looking to get the best returns from their website, social media and other online profiles. 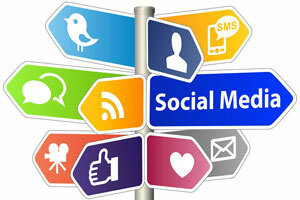 We offer all of the digital marketing services you need for your business under one roof. From responsive web design and search engine optimisation (SEO) to giving you advice on website hosting or taking care of your social media accounts, we do it all. We only use the latest SEO and digital marketing techniques and best of breed technologies to ensure you get a great return on your investment in our services. Working closely with you, we will get to know more about your business and help you to use the latest technology to achieve your goals. 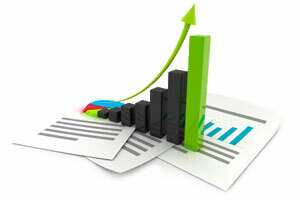 Increase the visibility of your website in the search engines which results in more traffic and sales. With our design process and quality assurance, we bring the artistic vision to your digital dreams. We can manage your social media profiles and connect you with the people who matter most. A compelling logo works hard building a flourishing brand, making it unique and memorable. We know digital marketing, we are honest, result driven, here to help and our results don’t lie. Our proven track record and years of digital marketing experience make us the perfect choice for any company looking to increase leads, grow their business online and giving you a great return on investment. Take a look at some of our clients rankings on our website. We can also help with WordPress, SEO and social media training and would be delighted to tell you more. Our mission statement is to provide professional and affordable digital marketing solutions while working closely with our clients, so as to create a high quality outcome that instills faith in the client, and encourages them to work with us again in the future. We endeavour to carry out our services for clients both in Ireland and internationally and there is no job too big or too small. We never rush our clients and always give you the time you deserve. The pricing for our services is very competitive and the standard of work is highly professional. Mark from Baldwin Digital takes care of our digital marketing including our website and social media. Mark is an absolute pleasure to deal with and provides a professional and affordable service, highly recommend! After lots of research, we chose Baldwin Digital to create our website. Once the website went live Mark’s input helped the site to rank on top of Google. I have recommended Baldwin Digital to friends and business acquaintances. The group asked Mark to redevelop and optimise our website. Mark did a fantastic job and all the members were highly impressed. Mark manages our website, SEO, social media and cloud web hosting. 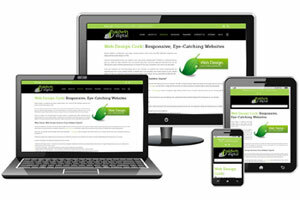 I used Baldwin Digital to create a website for my business and was delighted with the results. My Google rankings and business is increasing as a result. I am very impressed with the level of service and product knowledge shown by Mark. Mark was recommended to us for his SEO service. He optimised our website pages. As a result, our rankings have greatly improved. We are delighted with the results and would highly recommend Baldwin Digital.